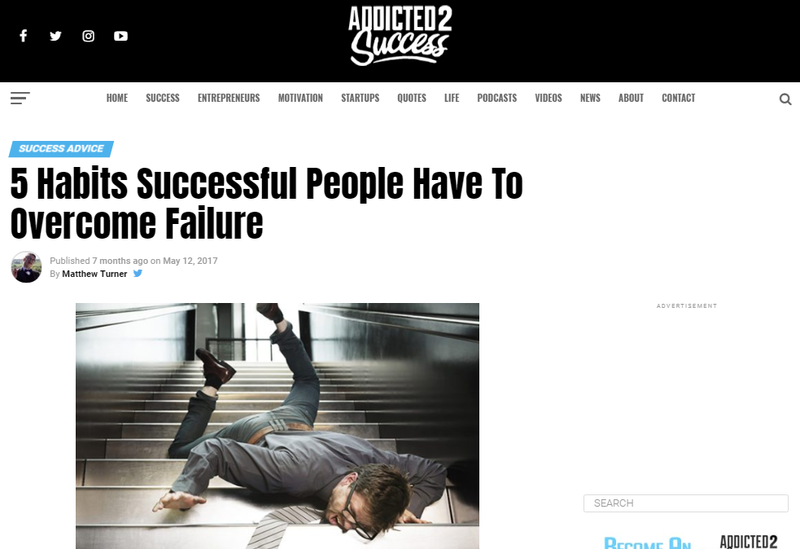 I published an article on Addicted2Success.com where I focus on five habits that successful have that allows them to overcome failure. I wanted to tell you about this post here, and if you like what you see, you may like to read the rest. Successful people are good at overcoming failure. Like you and me, they make mistakes. Life doesn’t always go according to plan, but this doesn’t stop them from achieving their potential. They don’t overcome this with money, power, or fame. They don’t have a secret you don’t. But they do have a set of positive habits that set them apart, and with a little tweaking, so can you.